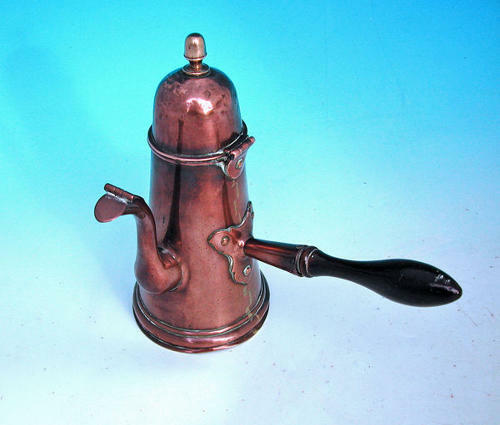 A very fine example of an early 18thc Queen Anne Copper Coffee Pot, the quality is the finest of its type with a domed lid, side hinge, shaped spout and turned fruitwood handle...it is joined by castellated seams typical of the period...fine condition for its age. English. C1710-14 Provenance: Private Welsh collection.